The Bourses aux Technologies run by the IMT are days for meetings and discussions between researchers and SMEs. The aim of the exercise is to provide SMEs with easier access to the results of academic research and thus to develop future innovations. Its USP is the range of technologies it brings from all the schools of the Institute and its partners, in one given region and in one area of expertise. The latest edition will take place from 9:30am to 3pm at the Télécom Physique Strasbourg – Pôle API, 300 Boulevard Sébastien Brant, 67400 Illkirch-Graffenstaden (how to get there). Come and discover more than 15 future healthcare technologies ready to be transferred to boost businesses’ competitiveness! Presented by Denis Abraham, IMT. 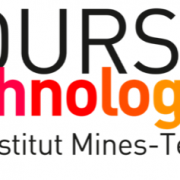 ■ 10:30am – Pitch for technologies and their potential applications by the researchers of Télécom SudParis, Télécom Physique Strasbourg, Télécom Bretagne, Mines Douai, l’Université de Strasbourg, etc. • C. Fetita (Télécom SudParis) – Airways, quantitative investigation of airways – 3D reconstruction. • N. Abdiche – ISThMe: computing platform for Illustration of Medical Prescription Strategies. • W. Uhring – High-throughput screening via timely use of fluorescence. • G. Abib (Télécom SudParis) – Module radio communicating without contact, enabling respiration surveillance. • Y. Gottesman (Télécom SudParis) – Reader for biophotonic sensors with a great variety of information. • V. Vigneron – Non-invasive system of multisensory acquisition and analysis for ECF of the human foetus. • J. Zallat – MICROPOL 3D, 3D polarimetric-tomographic imaging module adaptable to a standard microscope. • J. Lamy – MEDIPY, development environment and software dedicated to analysis of medical images. • W. Uhring – Medical imaging through temporal near-infrared imaging. • P. Zanne – Active stabilization of a flexible endoscope through visual control. • J.-B. Kammerer – Device for positioning surgical tool under MRI. • J.-L. Baldinger (Télécom SudParis) – Mobile telemonitoring system with surveillance of vital signs. • P. Tanguy (Télécom Bretagne) – Home automation protocol xAAL, solution for interoperability in home automation. • A. Fleury (Mines Douai) – iBalance, serious game for smartphone – integrated system for evaluating and rehabilitating posture with a smartphone. SMEs generally have few ties to the academic world and need innovative technologies. The academic world is constantly producing innovative technologies that can be transferred to the industrial world in order to create new applications for the market. To bring together these two worlds, IMT, a major contributor to research and innovation, wished to develop its concept of a Technologies Exchange (Bourse aux Technologies), which it initiated in 2007, by involving its regional partners. Its USP is the range of technologies it brings from all the schools of the Institute and its partners, in a given region and in one area of expertise. These meetings are now part of the program for promoting the range of technologies of public research organizations implemented by the Consortium de Valorisation Thématique CVSTENE (Future Investments), dedicated to science and digital technologies.